Free Mobile Service to your Home or Office! Rock, chip and crack repair services that come to you. If you're dealing with a cracked or damaged windshield, don't break the bank on expensive replacements; get those cracks sealed with help from the professional, National Windshield Repair Association certified technicians at Rock Damage Windshield Repair! Rock Damage Windshield repair serves Tyler and the surrounding areas, give us a call! 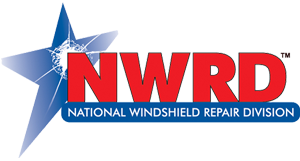 Rock Damage Windshield Repair offers FREE estimates on mobile windshield repair services! Our locally owned business has over 6 years of experience in the Tyler area! In most circumstances, insurance companies can get your windshield repaired and you can drive away without paying a deductable. Contact us today for details and ask about our superb WARRANTY on repairs that lasts for as long as you own the vehicle! that lasts for as long as you own the vehicle!